Today’s must-share experience is all about cake. 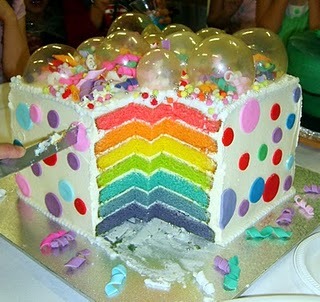 Take a look at the Caketopia blogspot and tell me that you’re not in love too. I’ve seen gorgeous cakes before but this one takes the cake! Absolutely stunning! You’re very welcome, Sam! Miss Six and Miss Nine enjoyed reading the descriptions of all your cakes and salivating over the photos almost as much as I did – it was our little literacy activity for the day 🙂 You’re a real talent, Sam. If you’re interested in making cakes for people outside of your circle of family and friends (so jealous of them, right now, and I’m not usually prone to jealousy! ), PLEASE let me know. Thus far, I could refer orders for: at least one 40th next year; a bubble cake; a graduation cake or two; and a couple of birthday cakes. Breathtaking. And Yes Samantha, my eyes lit up. If we’d had your site – or even internet! – back in my uni days, I am sure that my disastrous attempts to produce a simple birthday cake for Theresa would have clearly gone beyond my teenage attempt at a microwave cake (with a glass (microwave safe surely?) in the middle to ensure the cake cooked through!) and I would have been inspired to …. well I was going to say produce, but let’s face it, us mere mortals can’t produce cakes like yours, and in fact I was once even instructed by a partner in a law firm that – quote unquote: “We professionals don’t bake, we BUY! !” … so perhaps I should say – I would have been inspired to buy one of your creations for Theresa. 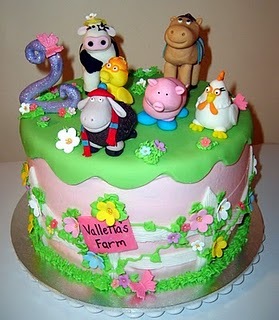 Please tell me you have a website to order such cakes for other people besides family? I’m sure you have a very willing market!! PS Theresa – thank you for the compliment. I return it in spades. Readers – she’s an amazing lawyer, businesswoman, manager and mother. I don’t know how you do it. Melissa, the memory of being presented with your special cake always makes me smile – it could’ve been a Larsen cartoon – I wouldn’t replace it for anything!